What? Wait! Where's the half-dressed lesbians? Visiting Patricia Wildman at Pemberley House. Are you saying Tarzan is no a half-dressed lesbian??? 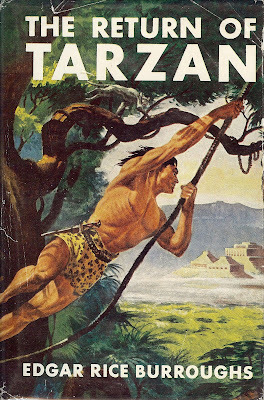 I have Tarzan the Terrible in this same series edition. Neat to see Opar there in the background.